Is anyone still here after I've neglected you for so long? I'm sorry! I have had a million posts run through my head, but then Jack wants to nurse and Jaco vomits on the floor and I finally get a chance to shower and rinse off the smell of spit-up and before you know it, it's 10:30 at night and I didn't blog for yet another day! I've missed it though. So..where did I leave off? Oh yes, Poop. We were talking about all the poop at Jack's newborn session. I am excited to report that, despite the presence of extreme amounts of human waste, the pictures Trinity captured are beyond amazing. I mean...just...incredible. See for yourself! This one brings tears to my eyes. Daddy and his boy...that's a post in and of itself. I love his bicep in this one! I mean really...those pictures are incredible are they not?! Incredible....yes!! I love the one on her website, the one on top of the vintage suitcase with his name....adorable.....but then again, she had an adorable baby to photograph! Those are awesome! Didn't see a smug of poop anywhere! Beautiful! And original. How's Jaco handling the new baby? Does he bark when the baby cries? Those are priceless keepsakes! 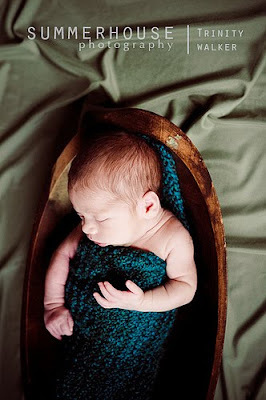 Since he's going to change so much - and far too quickly - you're so going to treasure those captured memories forever! Beautiful subject, and beautiful photos! Bekah these are BEAUTIFUL! I really love them. 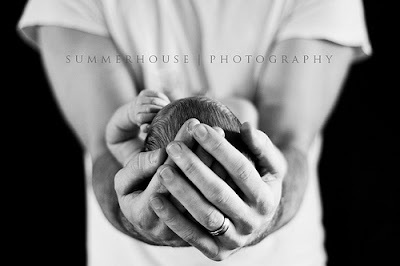 Amazing, she is a wonderfully talented photographer. And yes, of course Jack is gorgeous. What a treat! 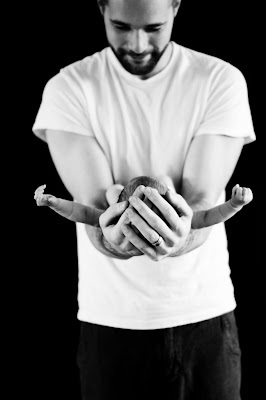 These are beautiful and I LOVE the one of Jack, arms outstretched, in his daddy's hands. So precious and unique. They are absolutely gorgeous and I love them. What an adorable little boy you have! I am so glad you found a photographer with so much talent and creativity. You will treasure these always! I can't believe that I've been gone this long. CONGRATULATIONS! Your baby boy is adorable and I'm thrilled for you. I LOVE the pictures! um, yah that last comment was from me, Mrs. Kitty. that other blog is my family blog, which is also on hiatus. Gosh I really miss all of you. I need to get back into the swing of things! SO incredibly sweet! 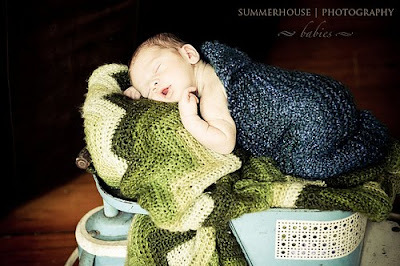 I LOVE that first shot all wrapped up in the blankie!!! wow! i leave the blog world for a few months and you had a baby!! he is adorable! congrats! They do beautiful work. I checked out their site after the last time you posted....wow. I would love to be a pro photographer someday! Merry Christmas My new mommy! Enjoy your very first Christmas as a mom. Take lots of pictures they grow up soooo fast! !